Logline: After returning to his childhood home, a disgraced children's puppeteer is forced to confront his wicked stepfather and the secrets that have tortured his entire life. All the oppressive atmosphere and grim and grimy tone won’t help you if you’re stuck with a narrative that is chasing its own paranoid tale. There’s only so much mood and unctuous characterisation one can stomach before the stench becomes unbearable, or the monotony sends you to sleep. Possum pushes the boundaries, and not in the best way. 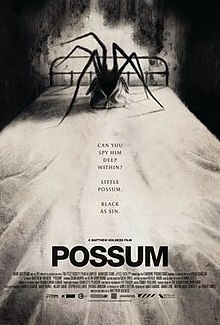 Possum is the feature debut from one of the two creators behind Garth Marenghi’s Darkplace, the cult fantasy-horror-black comedy television show, also an actor. Apparently based on his own short story Holness has written an intensely dark tale of one man’s reluctant revisitation to the home and landscape of his youth, where something dreadful too place. Philip (Sean Harris) used to be the puppeteer of a large grotesque arachnid. He still has the hideous thing stuffed inside a duffel bag, which he takes everywhere with him. Philip has so much of his own horrendous baggage that it has affected his entire physique. He walks stiffly, his face contorted, his arm holding the bag at length, as if it carries some kind of disease. After exchanging awkward looks with a teenage school boy on the train Philip makes his way across the desolate countryside to his boyhood home. It’s seemingly derelict, or at least currently empty. 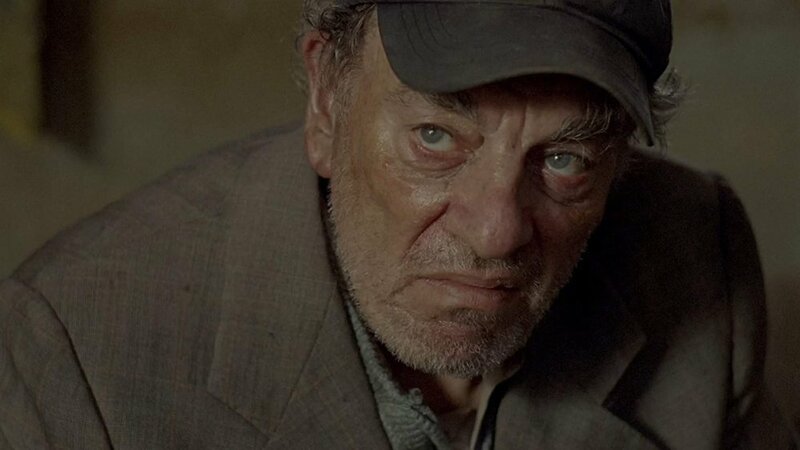 But no, Philip’s father, Maurice (Alun Armstrong), is there, seated at the kitchen table, rolling his own cigarettes, staring with a filthy gaze. There is no love lost here. Philip has returned to do away with his once prized possession. The puppet spider must be destroyed. Providing Philip has the courage to do it. He has many demons scratching away inside him, and his father has even more diabolical ones awaiting release. Before Philip can deal with the nightmare of reality, he must battle with the nightmare of his tortured mind, and its own un-reality. He scours the bogs, streams, and woods, looking for the best places to get rid of his duffel bag’s contents. This happens over and over and over. Philip’s “little possum” does not want to go quietly, certainly doesn’t want to vanish without a trace. Philip’s elusive guilt and heavy angst is threatening to consume him. But what’s the truth? Where’s the truth? Possum would’ve made a terrific horror short. Philip is obviously mentally and emotionally disturbed. The movie’s narrative, using a circular, repetitive structure (insanity is often described as re-doing the same exact task over and over and over, but expecting a different result) is what provides the film with it’s atmospheric intensity, especially combined with the excellent score, courtesy of the BBC Radiophonic Workshop. But it is too drawn out to work effectively as a feature. I’m reminded of the 1993 film Clean, Shaven, directed by Lodge Kerrigan, and starring Peter Greene. Another study of identity, violence, and the collapse of one’s mental health. Clean, Shaven is around 75 minutes long. It too is very demanding, and too long. They’d make a good - albeit gruelling - double feature for those prepared to go the distance. Harris and Armstrong give amazing performances, but they’re hard ones to tolerate. The ending, although disquieting, isn’t nearly as wrenching as it could, or should have been. 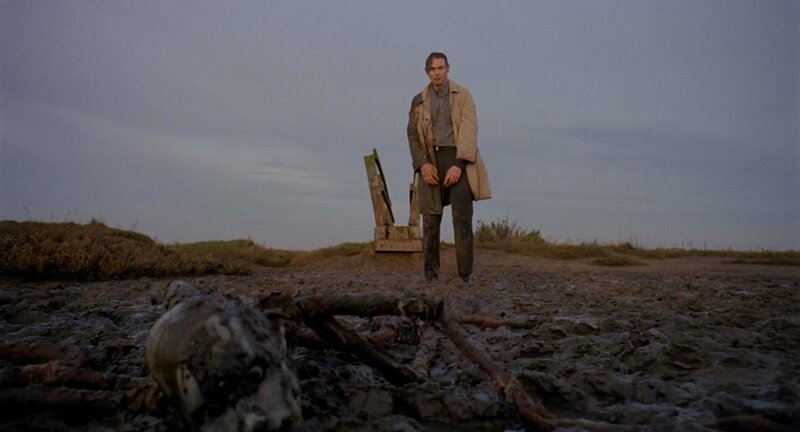 To have endured all of Philip’s rage-driven meandering and squandering and Maurice’s unctuous, tar-stained existence for that long, one really needs a kick-arse horror denouement, and, for all intensive purposes, Possum goes all possum on us.